I'm actually in my home office and the soundtrack to my work morning is provided by Hipster Sound, an online ambient-noise generator. 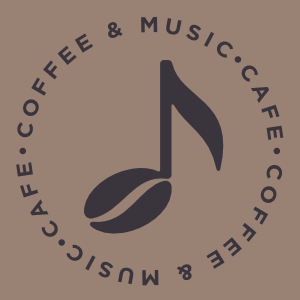 If you're used to working in coffee houses or cafes, you can use these captured soundscapes to help you focus in a quiet room or to drown out the dull day-to-day sounds of your office environment. Thank you, Hipster Sound, for making me feel like I know all the cool places to hang out even when it's just me alone in my home office. ... the website gives users the ability to blend additional features to create the perfect mix. You can turn down the cozy fireplace while cranking up the music from the piano bar, or blast them at the same level as the waves outside of the ocean lounge. Next time you want to log some hours on your screenplay, remember: You might physically be at a drip joint in Seattle, but sonically you could be in a corner cafe in Paris. A coffee shop isn’t the only white noise option, though. You can also choose a quaint Parisian cafe, or a quiet bistro if you prefer, and additional options include introducing the sounds of rain outside, a crackling fireplace nearby, or even a piano player off in the distance. If you’re finding it difficult to concentrate at work, let ‘Hipster Sound’ help you refocus your energy and thoughts. Hipster Sound is an online soundtrack that plays ambient coffee shop noises to help anyone used to working in a coffee shop stay focused and help productivity.